The World Bank is an international financial institution that provides loans to developing countries for capital programs. It comprises two institutions: the International Bank for Reconstruction and Development (IBRD) and the International Development Association (IDA). 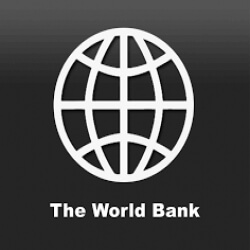 The World Bank is a component of the World Bank Group, and a member of the United Nations Development Group. The World Bank's official goal is the reduction of poverty. According to its Articles of Agreement, all its decisions must be guided by a commitment to the promotion of foreign investment and international trade and to the facilitation of capital investment.